When we moved out of our home last year, we ended up putting half of our stuff in a storage unit. That means I have a house full of things, plus an entire storage shed full of STUFF. It's good stuff... why else would I collect it in the first place, right? ;) In an attempt to be less of a collector (hoarder), I've reopened my Reloved shop and I'm using it as a sort of online yard sale. There's baby stuff, Blythe dolls, vintage bric-a-brac... all kinds of things. If you're interested, you can take a peek here. cute, stuff, katie! wish i was petite. 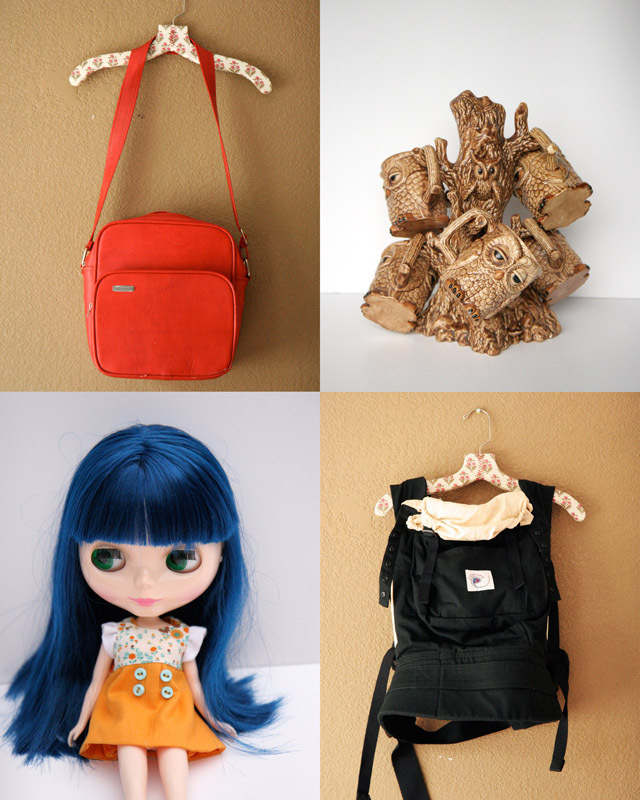 I love that Blythe doll! Dude, I love that red bag!! boo :( everything i want is already sold out. love the squirrel bag, the owl mugs, and sweet pink dress. cute stuff!